Happy Saturday! I hope you have a great day. This is the prettiest floral denim jacket for spring. These camo jeans are 55% off. I cannot believe these leopard jeans are on sale for $12! This cardigan is 40% off - and perfect for layering in spring weather. I love this striped sweater dress for 40% off. Get ready for April showers - with these Hunter boots for $55! This really cute striped jumpsuit for only $25. These cut out mules for 55% off. This wrap dress is under $50 - and comes in five different colors/prints. This pretty scarf on sale for $10. This striped sweater is 40% off - and perfect for spring/summer. I love the color of these pants for work. This cardigan is 70% off - and comes in two great colors. In case you missed it - I shared more deals HERE. 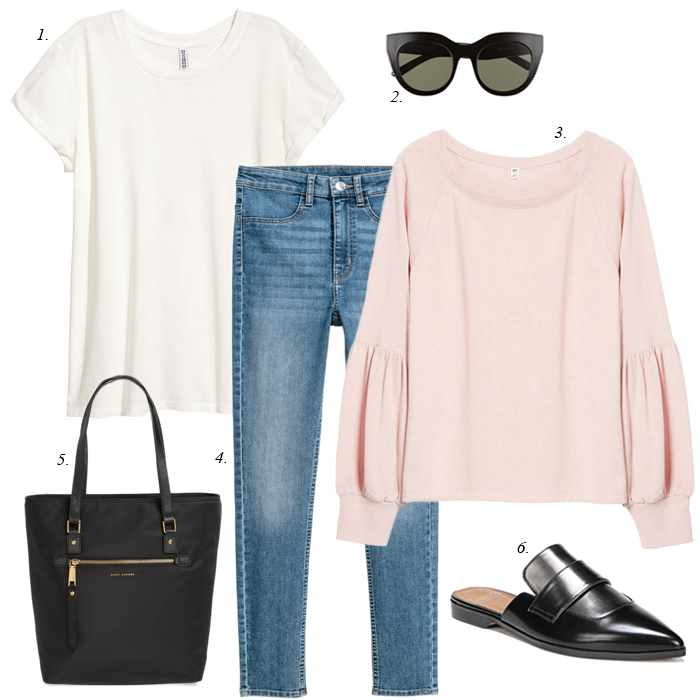 Beautiful spring outfit inspo! I need that pink blouse! Love the sleeves!